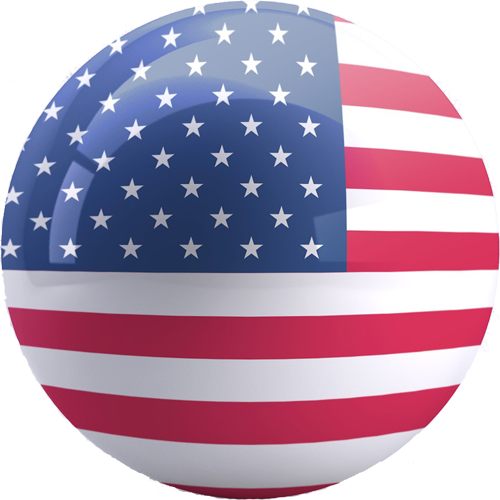 In May, 2014 the DV888 yoyo by YoYoFactory – a yoyo which had long been the defining budget metal yoyo for the industry – was rethought and reborn. The original vision for the DV888 yoyo was to make a High-end Metal Yoyo at a more affordable price. 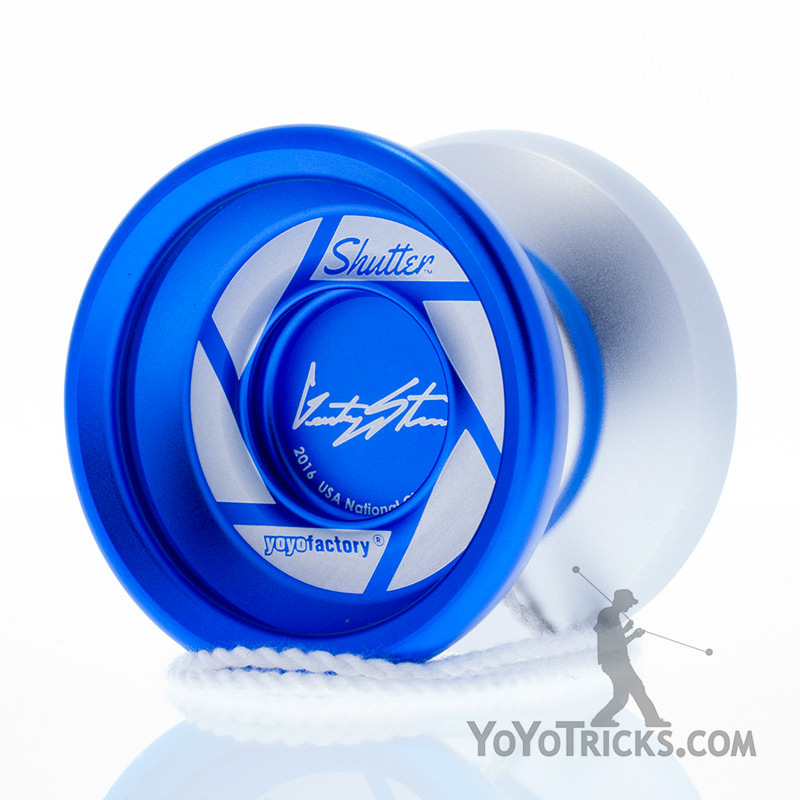 This effort was so successful YoYoFactory continued to make other budget metal yoyos, like the popular Shutter yoyo, which have completely changed the landscape of what a player can expect from a yoyo that costs less than $50. With this latest revision of the DV888, YoYoFactory is attempting to change the market again, this time for new players. 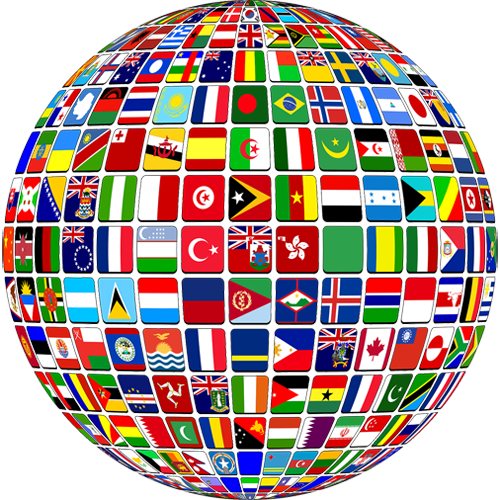 To achieve this they have altered the DV888 yoyo in two significant ways. First, they made this current iteration of the DV888 yoyo play responsive. 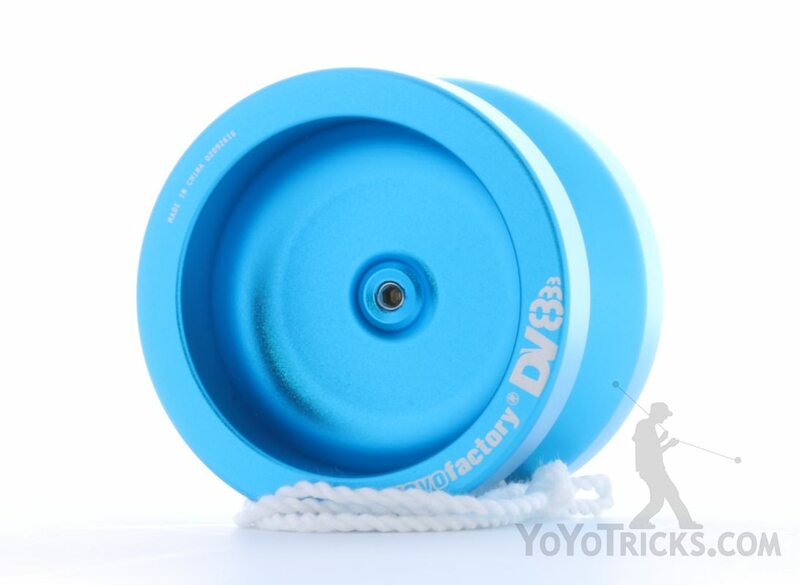 The original DV888 played unresponsive like its more expensive high-end yoyo brothers. Now, the DV888 comes with a slim bearing and thick response pads which allows it to play consistently with perfect response. To our great surprise, the DV888 plays so well setup this way, it would be easy to believe it had been designed to play responsive from the start. Whether you are just getting into string tricks, or are working on Flips and Shoot the Moons, the DV888 is an all around great performer for any new player just starting to learn tricks. In other words, it is everything a Starter Metal Yoyo should be. In addition to making the DV888 yoyo responsive, YoYoFactory was also able to significantly reduce the price, cutting it almost in half. With this new lower price, and responsive setup, the DV888 is now perfectly situated to appeal to new players. Best of all, when YoYoFactory updated the DV888, they did not change the halves of the yoyo at all, they only changed the bearing and the response pads. This means that all you need to do to return the DV888 yoyo to its original unresponsive setup is change the bearing and response pads. In fact, we offer our own custom DV888 Yoyo Unresponsive Pro Pack that includes everything you need so you can make the switch to unresponsive play when you are ready. 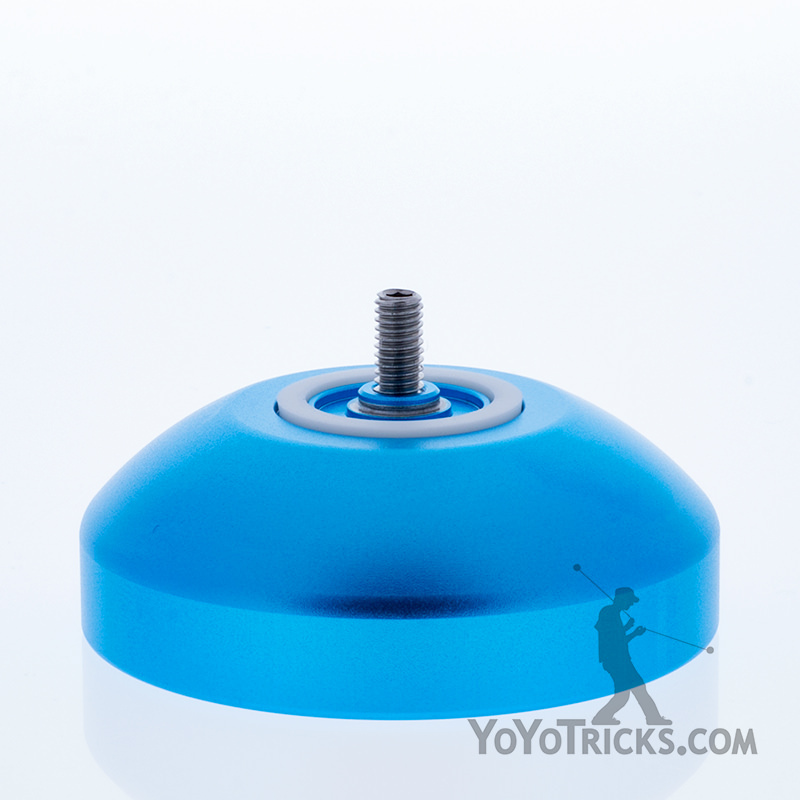 If you are a new player looking for a metal yoyo that can help you start learning tricks, you can’t go wrong making the DV888 yoyo your first choice. He didn’t have his gun. He was hanging by a finger, nothing but a string and his DV888 separating him from an 88 floor drop. “Good thing I put on 100% polyester today.” Normally he was prone to 50/50 blended string, but he wanted to look good. What started out as a joke had now saved his life on more than one occasion. Agent 888 had received this yoyo after 5 years in Her Majesty’s Secret Service. Deviation, that was his method. He never stuck to the plan. While his colleagues labored long and hard to put together their signature catch phrase, an absolute necessity in the spy game, his was nothing more than a single word, “Deviate”. 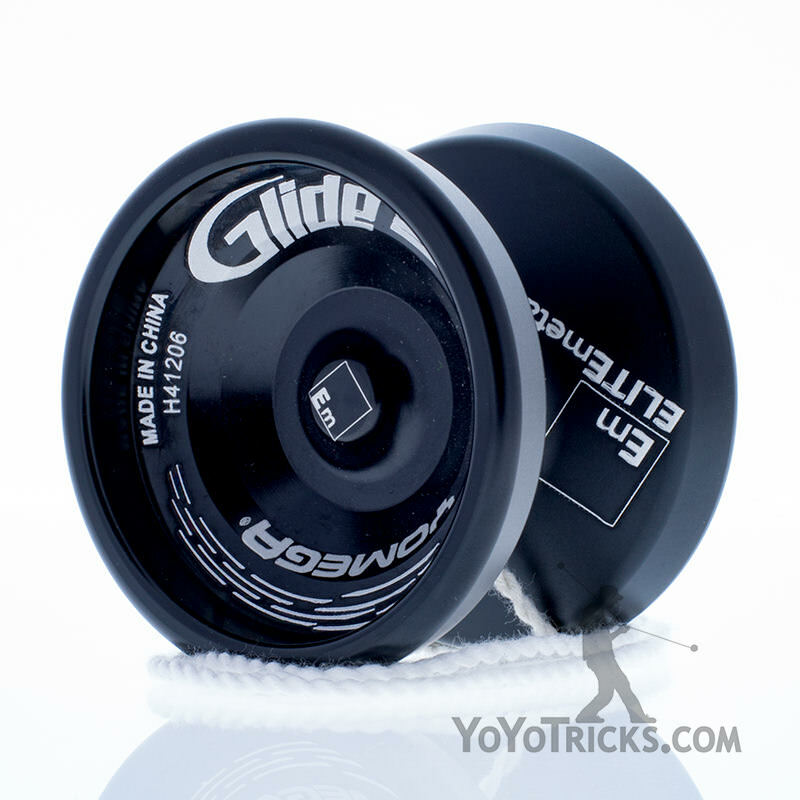 Instead of a pin, his five year gift was the fitting DV888 yoyo. He took a deep breath. The air was particularly crisp 88 floors up. Hand over fist, he climbed the string. His enemies had long since given up their search. He untangled his DV888 yoyo and concealed its small shape beneath his jacket on his YoTricks Bloop. Oh how he loved that bloop! He knew it was true, he was out of options. “It’s time to deviate”. For 5 years the DV888 has been one of our best-selling metal yoyos, offering high performance and high value to yoyo players around the globe. Since the release of our low priced Shutter and CZM8 yo-yos, we’ve brought even higher performance to the $45 price point. Today, we are proud to release the new DV888, designed to appeal to an even broader audience at a much more affordable price. The new DV888 is packaged as a responsive yo-yo, meaning that it can be used as a first-time yo-yo for those looking to start out with a full aluminum yo-yo or it can be upgraded to its original form with an upgrade bearing and pads. And to help get this amazing performer into new players hands, we’re reducing the retail price to only $29.99!